Fireweed (Senecio madagascarensis), an opportunistic weed, is a native of South Africa. It was first recorded in Australia in the Hunter Valley in 1918 and is now established along the entire NSW coast, extending into Victoria to the south and as far north as central Queensland. 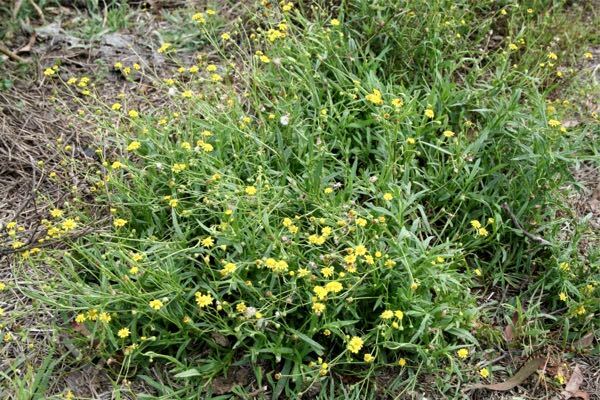 It has been declared a Weed of National Significance because of its invasiveness, potential for spread and economic and environmental impacts. It is able to establish and spread quickly where ground has been cultivated or disturbed, and/or where there is reduced groundcover competition because of drought or overgrazing. It is highly adaptable to environmental conditions, able to behave as a short-lived perennial or an annual according to the season. In coastal districts the most common form of fireweed is a low, heavily branched, short-lived perennial bush. 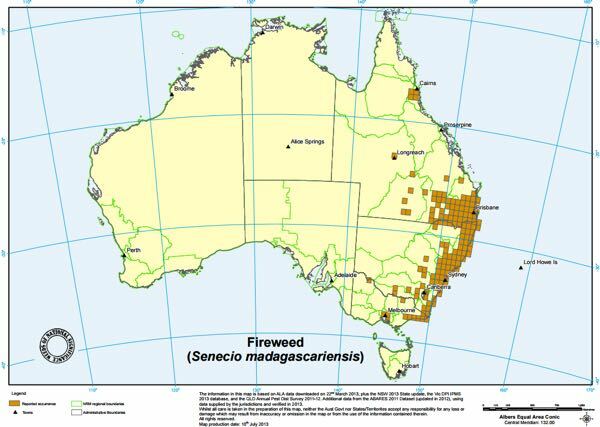 Fireweed is one of approximately thirty Senecio species reported to be responsible for livestock and human toxicity around the world. 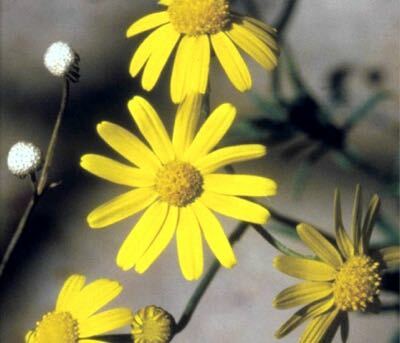 The toxic potential of Senecio species is due to the presence of pyrrolizidine alkaloids (PAs) in all above-ground parts of the plant, at all stages of growth. PAs primarily cause liver damage. 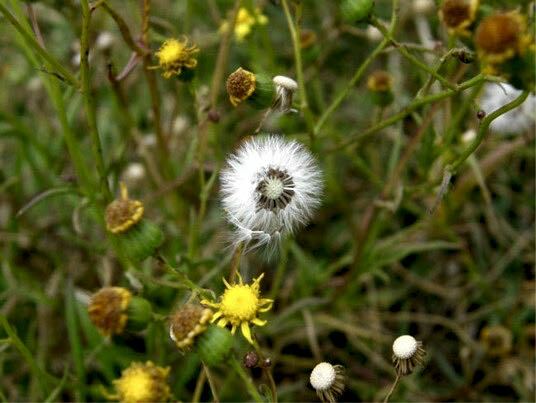 Poisoning may not be evident for weeks to months or even years after the plants are eaten. The liver damage caused by fireweed is irreversible and untreatable. Infestation of fireweed can incur high control costs, reduce the total grazing capacity of a property, decrease pasture production, and affect animal health. Q 1. Do sheep spread fireweed? The project definitively showed that sheep are capable of spreading fireweed through their manure. Of the total plants that germinated from the sheep manure, over 28% were fireweed, close to 60% were pasture grasses/clover, and 12% were broadleaf weeds. These results are in contrast to the pasture content of over 95% of desirable plant species. Given that the property on which this trial was done had an average of 6.5 fireweed plants/m2, considered a low-moderate density, this result suggests that sheep may not be as effective a control of fireweed as generally accepted, and may aid spread. Further research is required to compare the quantity of seeds consumed with the number of viable seeds excreted. Q 2. Do the PAs in fireweed affect sheep health? 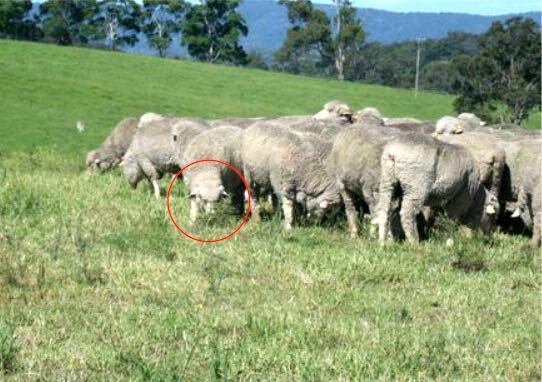 The consumption of excessive PAs by sheep can lead to hepatic insufficiency which can progress over months and years to chronic liver failure. Affected sheep also tend to accumulate copper in their livers, which can lead to toxaemic jaundice. Early hepatic damage can be detected via measurement of serum liver enzymes. Histopathology of affected livers shows enlarged hepatocytes forming megalocytes. Levels of copper may be increased. Post mortem examination in more advanced chronic cases reveal small, fibrotic livers. 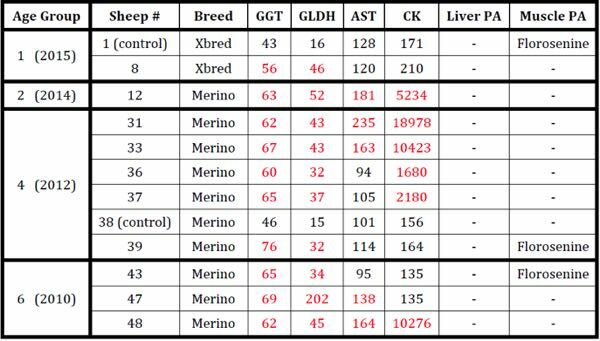 In this project, fifty homebred sheep, apparently in good health, over five different age groups (1-6 years of age) and two breeds (merinos and XB) were blood sampled. Liver biochemistry was performed measuring GGT, GLDH, and AST. CK was also measured to indicate whether the origin of any elevations in AST was liver or muscle. Based on the liver enzyme results, twelve sheep were selected for slaughter for home butchering. The ten sheep with the highest GGT levels were selected plus two sheep with no abnormality in their biochemistry (figure 4). Liver samples were assessed for evidence of hepatic damage due to PA toxicity via histopathology and measurement of copper levels. The blood results, liver histopathology and liver copper levels revealed that there was no clear evidence that the consumption of fireweed had a negative impact on the health of sheep grazing fireweed plants for up to 6 years. These results do not guarantee that sheep used to graze higher densities of fireweed under different management practices would not be negatively impacted upon. Further research is required to identify the relationship between fireweed density, years of grazing fireweed, sheep age and liver damage to enable informed best practice guidelines for the grazing of fireweed with sheep in different situations. Q 3. Are PAs entering the human food chain via consumption of lamb, mutton, and sheep offal? Specimens of the fireweed plants on this property were sent to Dr Mary Fletcher FRACI CChem, University of Queensland, for identification of the PAs. Eleven alkaloids were found to be present, with five major alkaloids being identified: senkirkine, otosenine, desacetyldorinine, florosenine and doronine. The florosenine alkaloid registered at the highest level. Samples of liver and muscle were taken from each carcase at the time of slaughter of the twelve sheep and qualitatively analysed to see if the same PAs were present in those tissues as were in the plant material. There were no other PA containing plants identified on the property. Very low levels of one PA (the major fireweed alkaloid – florosenine) were detected in three of the meat samples. While the levels detected were below the limits of quantitation, the levels were best estimated to be between 0.1 and 0.5ug/kg. No PAs were present in any of the liver samples or in the other 9 muscle samples. There was no correlation between those sheep that had PAs detected in their muscle with their age, breed, or liver enzyme results as shown in the table below (figure 4). The potential PA dietary intake by an 85kg adult human male from the consumption of meat with a PA content of 0.5ug/kg, compared to the Food Standards Australia New Zealand (FSANZ) and the European Food Safety Authority (EFSA) identified safe PA daily intake, is indicated in the table below (figure 5). Based on these guidelines, the average Australian male consuming meat with the level of PA contamination detected in three of the twelve samples referred to above, would be consuming 0.0005% of the FSANZ safe daily intake and the average European male would be consuming 6.2% of the EFSA safe daily intake. While these results indicate that sheep are capable of accumulating PAs in muscle, the identified levels are well below the safe intake levels as recommended by both the FSANZ and EFSA, even if all the red meat consumed contained PAs. There was no evidence of accumulation of PAs in the liver in this trial. This project has highlighted the need for education of producers who use sheep to aid the control of fireweed, and the need for further research. Further areas of research include investigating the connection between various paddock densities of fireweed, levels of and duration of consumption by sheep, and liver damage and PA contamination of muscle and liver. Such research would enable the informed development of best practice guidelines for producers and industry for the management of the grazing of fireweed by sheep for the benefit of all stakeholders, including the sheep and the consumer. Dr.Mary Fletcher, University of Qld – time spent discussing the testing, willingness to work on the project, her expertise in PAs.